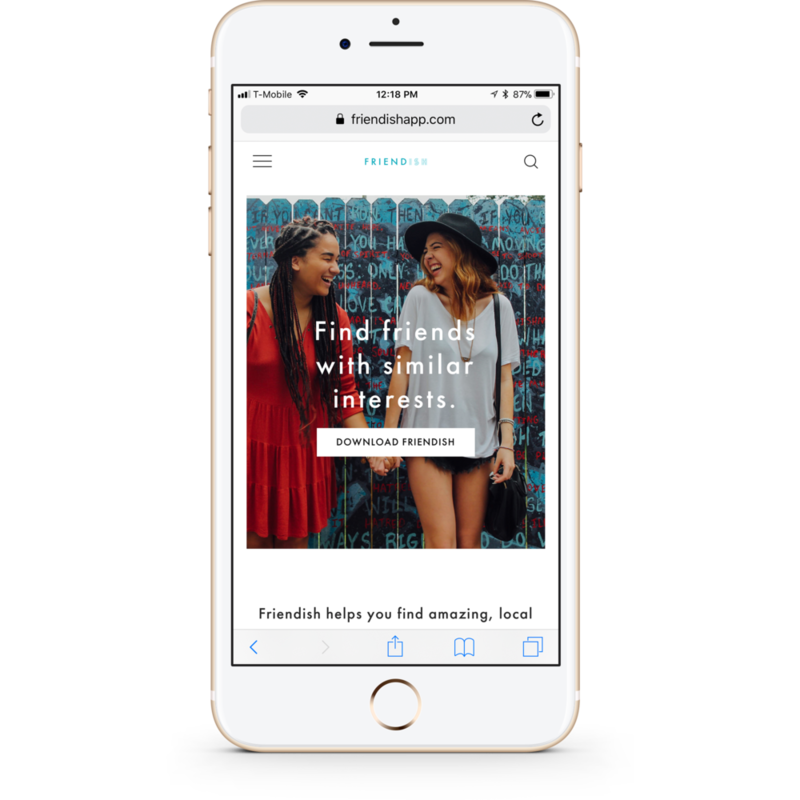 Friendish is an app that allows you to find people in your area and "swipe" based on interests in order to make new friends. 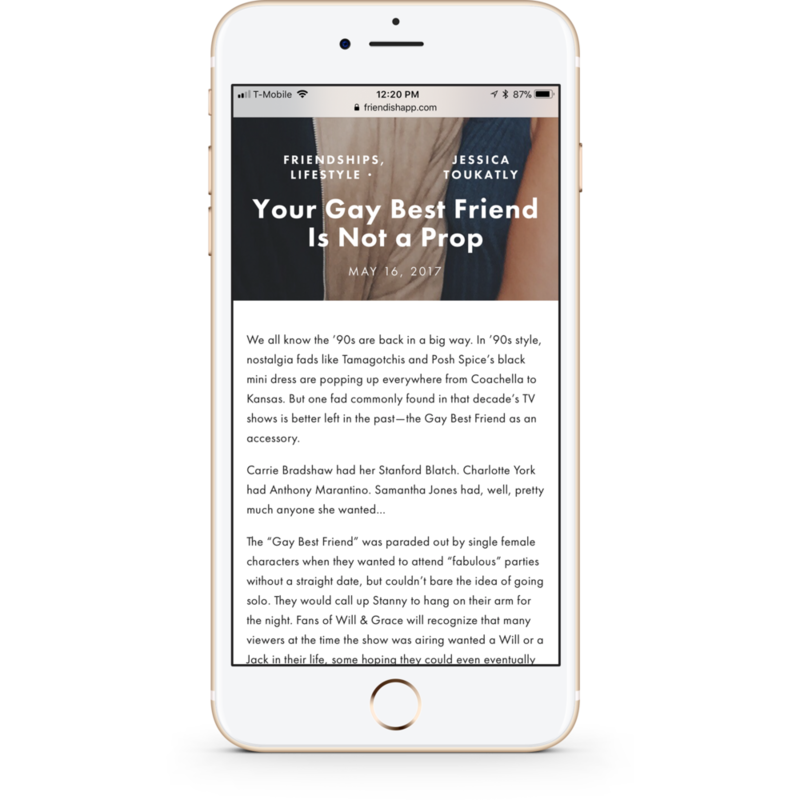 I was asked to design the website via Squarespace in order to help grow the audience and subsequently improve the app! 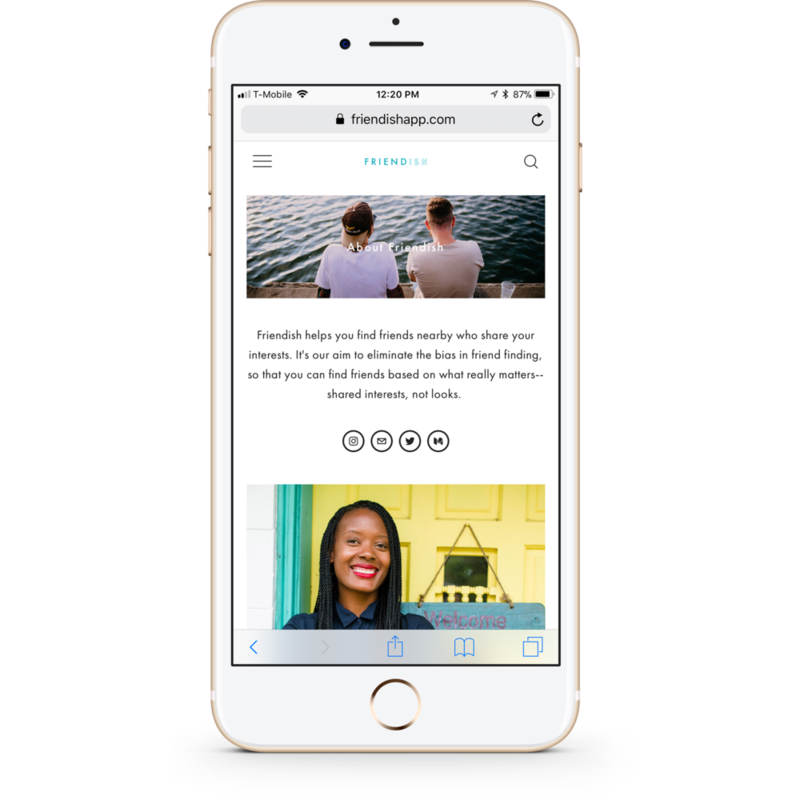 While the Friendish app exists to help promote the app, it also serves as an online community where articles about friendships and relationships are shared.